Attention world. B.o.B's "Nothin' On You" is now featured on the Rhino UK compilation "Bass In Yer Face". 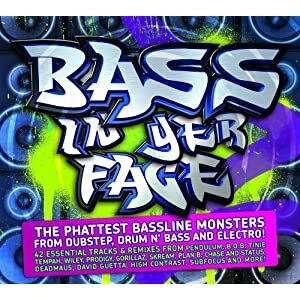 The album is packed with 42 of the very biggest Bass anthems currently rocking the UK from Dubstep to Drum n' Bass, Electro and Grime. It features smash-up classics old and new from Tinie Tempah, Pendulum, Plan B, Prodigy, McLean, Chase & Status, Little Boots, Rusko and many others. Download it on iTunes now to get the 42 unmixed tracks PLUS two full length mixes - click here. Or check out a 5 minute sampler here. UK has nothing but love for B.o.B & his music. "So Good!" in Champs x Adidas Commercial!